Earrings, Karn Phool or Jhoomars worn by Brides as part of the Solah Shringar. Karnphool/Jhumkas in Hindi, Kammal in Tamil, Kadhalitha in Malayalam, Jhumko/Jhumka in Bengali, Kaan/Kudya in Marathi, Kundalas in Kashmiri. Worn on the ears, sometimes covering all of it. It is worn by women of all age groups, earrings instantly transform one’s overall appearance. The heavier ones are supported with chains that are pinned into the hair. A girl child’s ears are generally pierced at a very young age. So, this isn’t specific to Married Women. The Earrings are generally part of the jewellery set that the bride co-ordinates with her Bridal outfit. Made from Gold, Silver or any other metal. Combined with Precious stones, Diamonds, Kundan or Polki. The practice of adorning the ears dates back to the Vedic times with references of it in the Hindu Scriptures. It is a popular trend to have the ears pierced more than once. The styles vary across the Indian sub-continent and each has a story with it. The Kashmiri’s have the inner cartilage of their ears pierced signifying that they are married. Men too have one of their ear lobes pierced as a fashion statement. They tend to sport a ring or a stud. 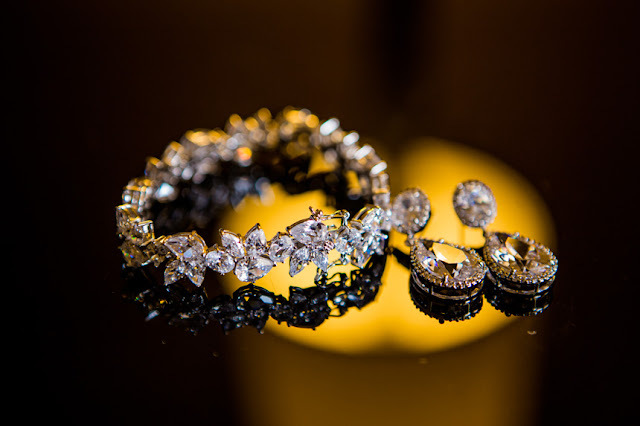 Large and ornate earrings are very often the only piece of jewellery required to complete your look.